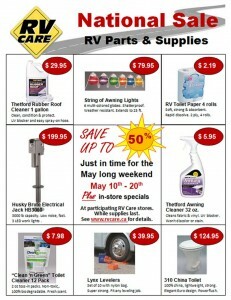 Be sure to swing into Leisure and take advantage of the RV CARE NATIONAL SALE!! Sale is May 10-20 and brought to you by RV CARE DEALERS!!! Save up to 50% just in time for the long weekend!